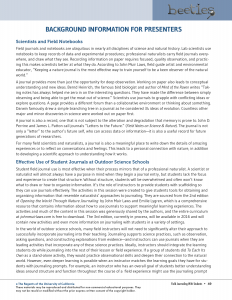 Most outdoor science schools have student journals, but many field instructors report that they could use help in learning how to use journals more often and more effectively to support science instruction. 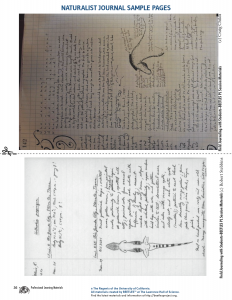 Journals are indispensable and ubiquitous tools in natural history and science, and if journals are used well in outdoor science programs they can become an equally powerful part of a field instructor’s “toolkit.” Used strategically, journaling can help students to observe deeply and to engage in other science practices. 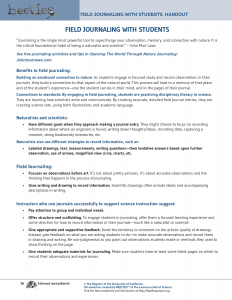 Journals also provide an invaluable venue for student reflection- both during the field experience, and later if students revisit their journal entries after they return home. Experience three journaling activities that can be used with students. 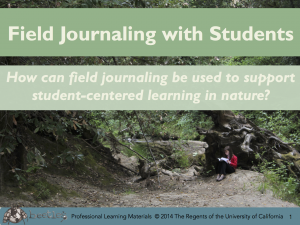 Explore a variety of naturalists’ journal pages, and discuss different goals of and strategies for field journaling. 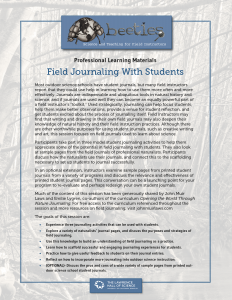 Learn how to scaffold successful and engaging journaling experiences for students. 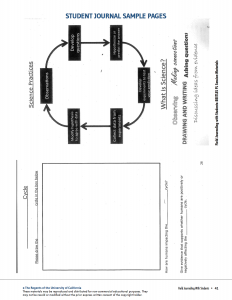 Practice how to give useful feedback to students on their journal entries. 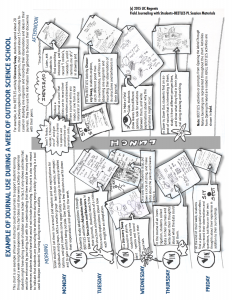 Reflect on how to incorporate more journaling into outdoor science instruction. 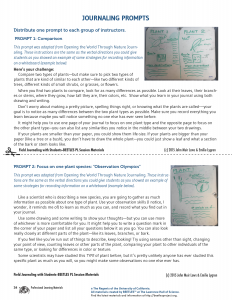 (OPTIONAL)- Discuss the pros and cons of a wide variety of sample pages from printed outdoor science school student journals. 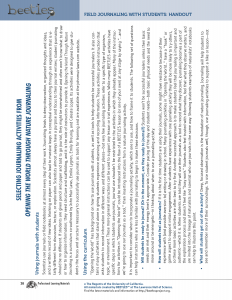 Selecting Journaling Activities from "Opening the World Through Nature Journaling"
The student activities for this session are embedded in the leader guide. 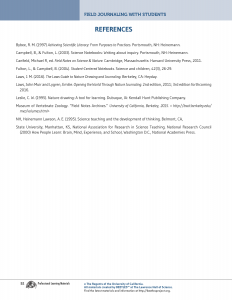 Notes: Professional learning videos are intended to support program leaders, not as online learning experiences for field instructors. This video was edited to focus on how the program leader leads the session; the actual session is much more participant-focused, and participants spend most of the session exploring and discussing ideas with their peers. The script and this video don’t always agree. We recommend you follow the script if you notice a discrepancy.